Guess what’s in the photo? Celery? Look again, but more closely. 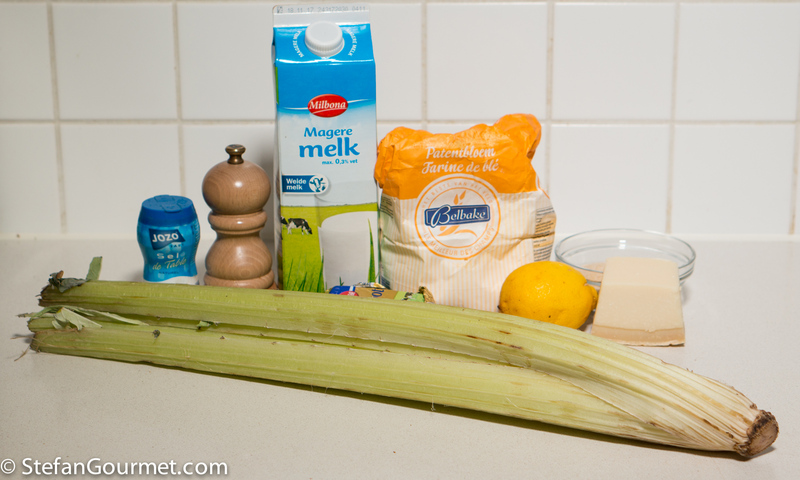 It’s cardoon (“kardoen” in Dutch, “cardo” in Italian and Spanish, or “cardon” in French). It is closely related to artichokes, and that is also what it tastes like. It is a typical winter vegetable that is in season from November to February. A classic way to prepare cardoon in Piemonte, Italy is to bake them in the oven with white sauce (besciamella) and parmigiano. The creamy white sauce balances out the slight bitterness of the cardoon. 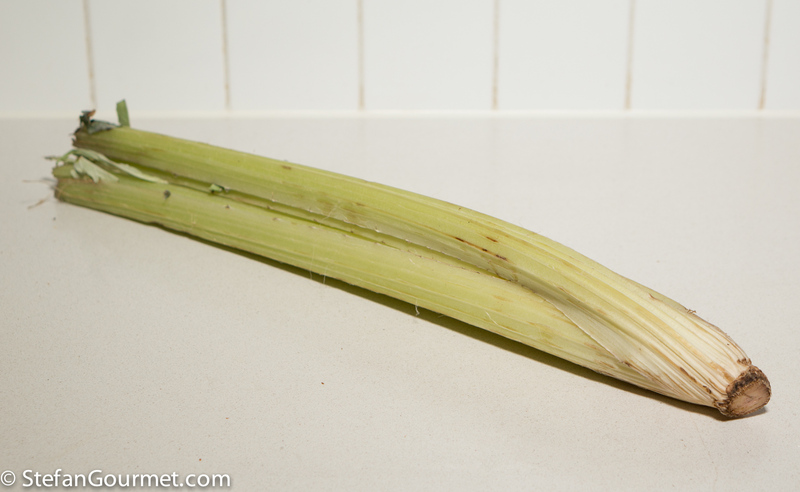 Start by cleaning the cardoon stalks. Remove any leaves and trim the ends. Cut them into lengths that will fit into the oven dish you intend to use. With a small knife, remove the tough filaments by starting at one end and pulling them off. Then do the same from the other end. 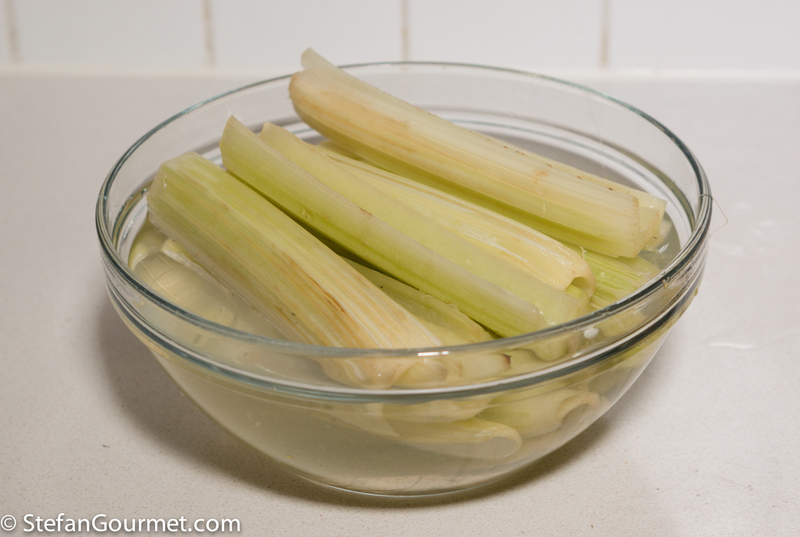 Put the cleaned pieces of cardoon in water with some lemon juice to prevent discoloring. Keep going until you have finished all of the cardoon. 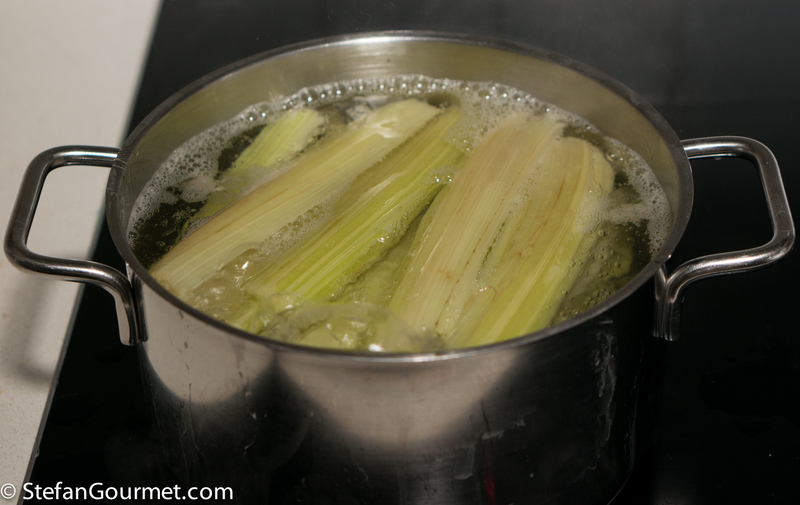 Now parboil the cardoon in salted water until tender but still firm to the bite, about 30 minutes. You could also pressure cook them in half the time. 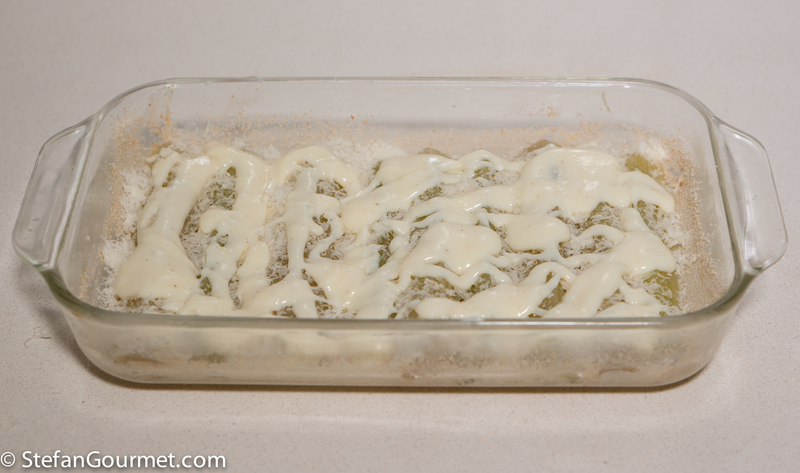 Drain the cardoon and make the white sauce using these instructions. Season the besciamella to taste with salt, freshly ground pepper, and a dash of freshly grated nutmeg. Preheat the oven to 200C/400F. Butter an oven dish and sprinkle with breadcrumbs. 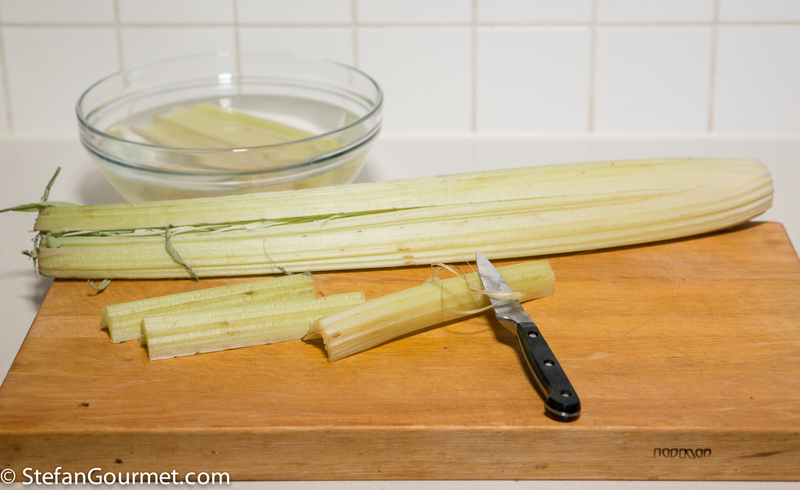 Arrange half of the cardoon stalks on the bottom of the dish. 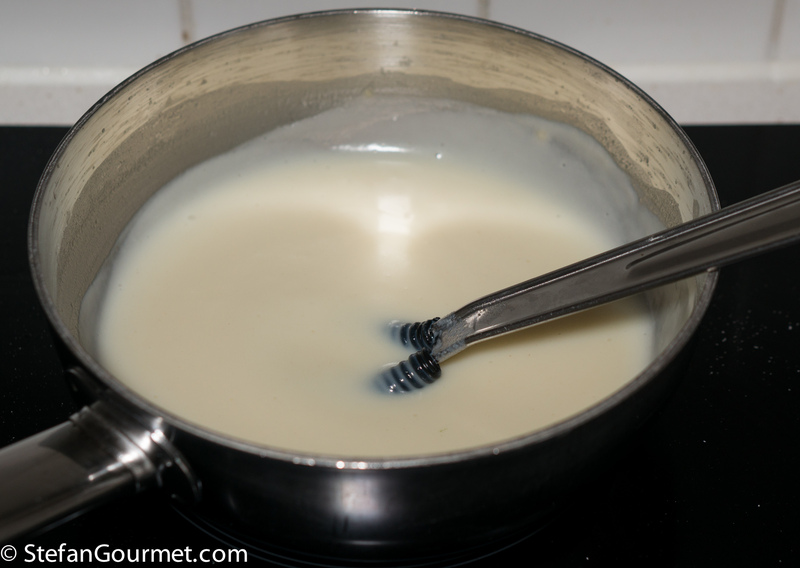 Drizzle with half of the white sauce and sprinkle generously with freshly grated parmigiano reggiano. 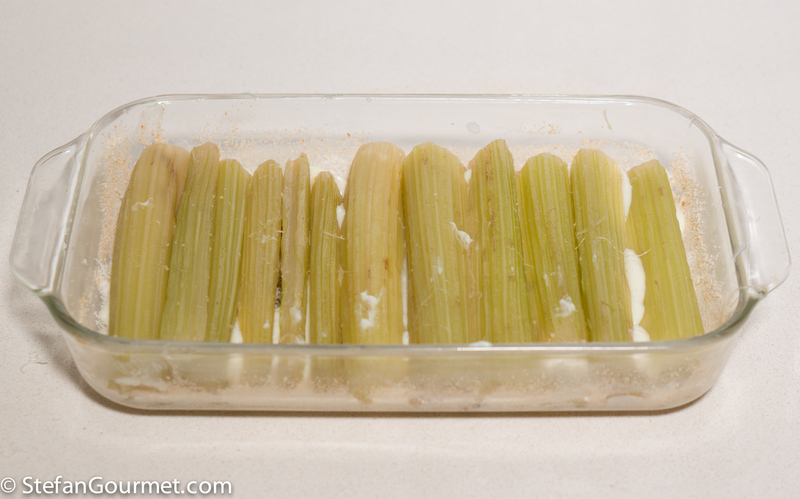 Arrange the remaining half of cardoon stalks on top. 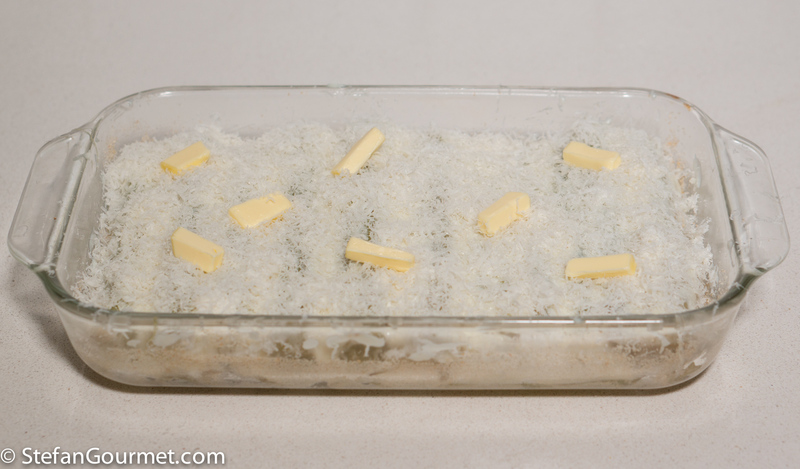 Cover with the remaining white sauce and a generous layer of freshly grated parmigiano. Dot with butter. Bake at 200C/400F until golden, about 30 to 40 minutes. Allow to rest for 5 to 10 minutes before serving. 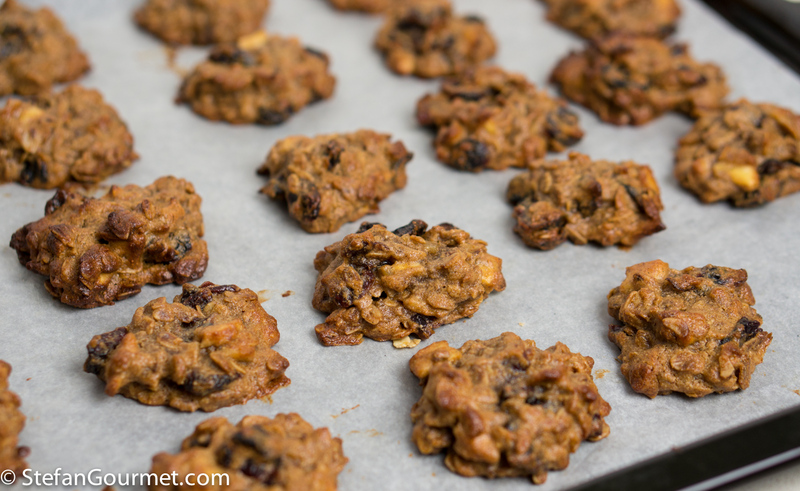 These peanut, banana, cranberry, and oat cookies are gluten free and without any added sugar, and more importantly they are very tasty. Delicious ! 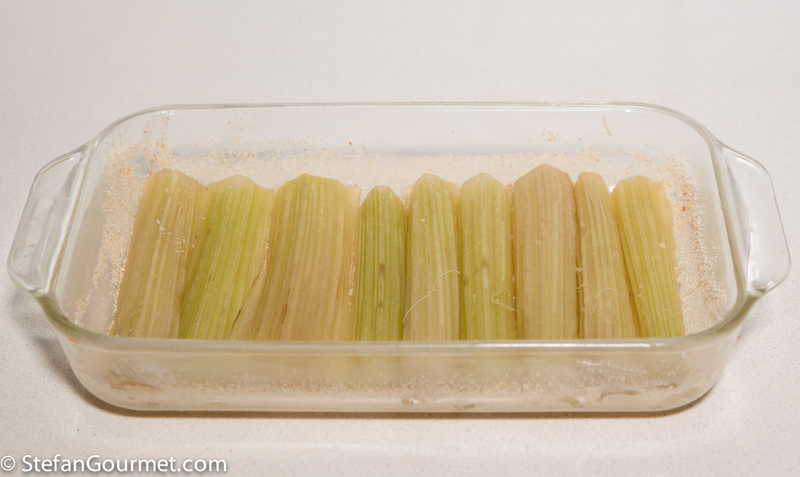 I love cardoons, but they are such a fuss to peel. I usually make loads, parboil, and freeze. If you add bone marrow and breadcrumbs to your gratin, you get a divine dish from Lyon, made famous by Bocuse. But I think I like your rustic, simple version better. Annoying: I just know I have ‘met’ this vegetable before, but . . . An interesting ‘lesson’ from both you and Darya, Primo piatti or side for veal or chicken . . . ? Uno dei miei piatti preferiti. Purtroppo i cardi sono difficili da trovare qui. Sembrano buonissimi e a dir la verita’ non li ho mai assaggiati… anche i finocchi vengono bene con la stessa tecnica! I have never seen this vegetable before! Celery that tastes like artichokes but with half the work?! I wonder if this is sold in the states. 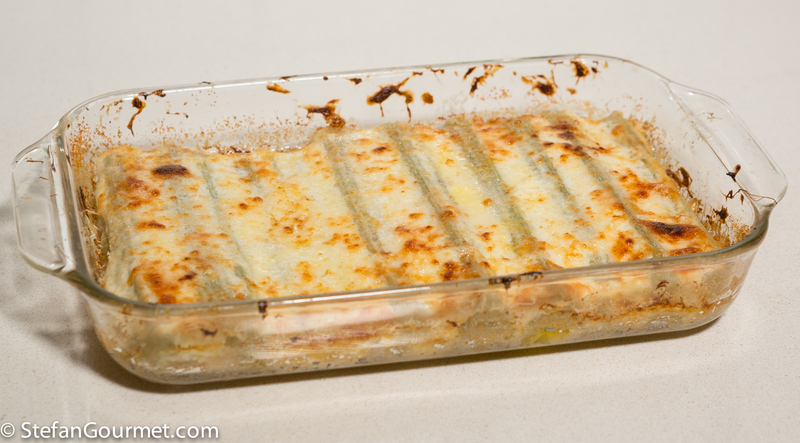 The gratin looks so good. According to CampariGirl from LA it is hard to find. It is definitely less work and a lot cheaper than artichokes. 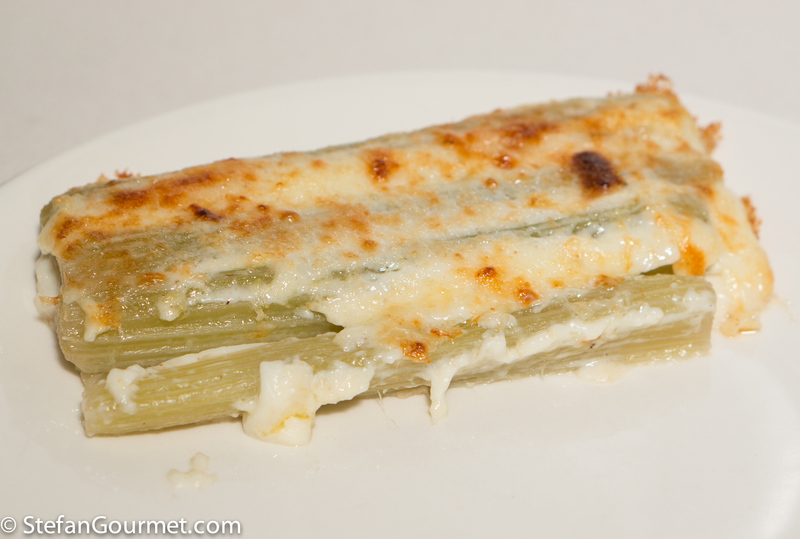 Never had cardoon, thanks for sharing this delicious vegetable and recipe. Have to give a look for it at the local farmer’s market and try it out!